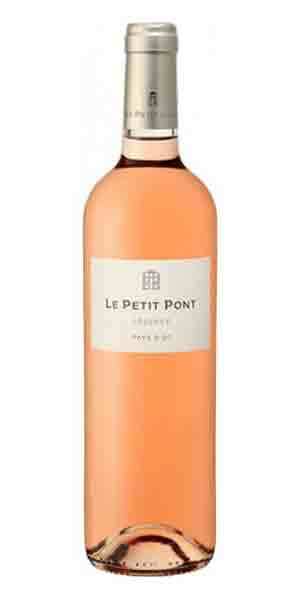 Domaine Preignes makes Le Petit Pont Rose. The estate is located between Béziers and Agde, at the heart of the Languedoc. The vineyards and the Medieval estate have belonged to the Vic family for five generations. This rose is a a blend of Grenache, Cinsault and Merlot grown on clay and gravel soils. Colour extraction happens from 8 hours of skin contact. Aromas and flavours of ripe cherry, the palate shows balance and persistency of fruit.